Cryptocurrency: How to establish trust? I’ve had a great time chatting with cryptocurrency expert Alex Tapscott about the future of digital money, and how it may (probably) change our lives. In my last post with Alex—founder and CEO of Northwest Passage Ventures and coauthor with his dad Don of the book, “The Trust Protocol: How Blockchain Technology Will Change Money, Business and the World”—we discussed the all-important topic of security: Who actually is minding the store on these new types of monetary transactions involving such things as ether, bitcoin and other new digital currencies? A major issue—perhaps the single most important issue, actually—is trust. There’s plenty of trust in the U.S. dollar, but what about bitcoin and other digital monies? I asked Alex how one establishes trust in this brave new world of digital currency? Well then, I thought. what’s the new paradigm for digital currency? Who is governing whether bitcoin and other digital monies are “real” or not? 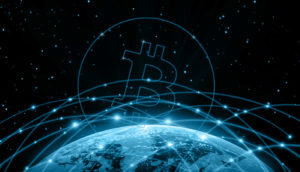 Alex discussed a bit about blockchain—bitcoin’s main technical innovation, a public ledger for bitcoin transactions allowing users to connect to the network, and send and verify transactions. But, I asked Alex, how do you validate a crypto transaction? After all, it’s not script, like the U.S. greenback or the euro. “Right now, there are a whole bunch of different solutions that have been proposed. A mining method is called a ‘proof of work.’ So in exchange for doing lots of work, you have the chance of getting rewarded. But there are other different ways of validating a blockchain, like ‘proof of stake,’ which basically just confers validating power on whomever owns a share of the network. “So, if you have 10 banks in the network, and each of them owns 10%, then no transaction is valid unless all 10, or some plurality or majority, can reach consensus,” he said. Since we were dealing with the all-important topic of trust here, I had to ask: How much effort does it take to break a blockchain and steal money? Trust is the key to the new world of digital currency, right? Next time, we’ll look a little closer at public versus private blockchains, to get a better feel for why Alex thinks one may prevail over the other, at least in the short term. Stay tuned!